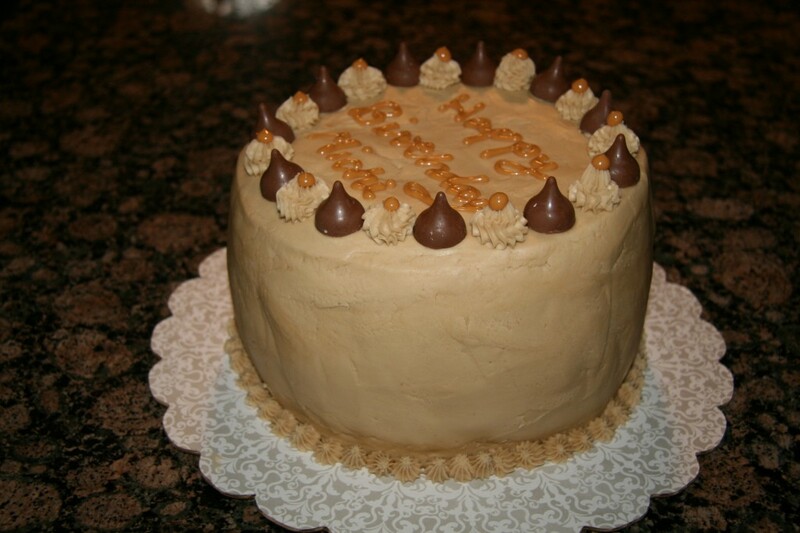 I made this cake a few days ago for my sister-in-law’s birthday, and the cake and filling are probably my favorite of the cakes that I have made so far. 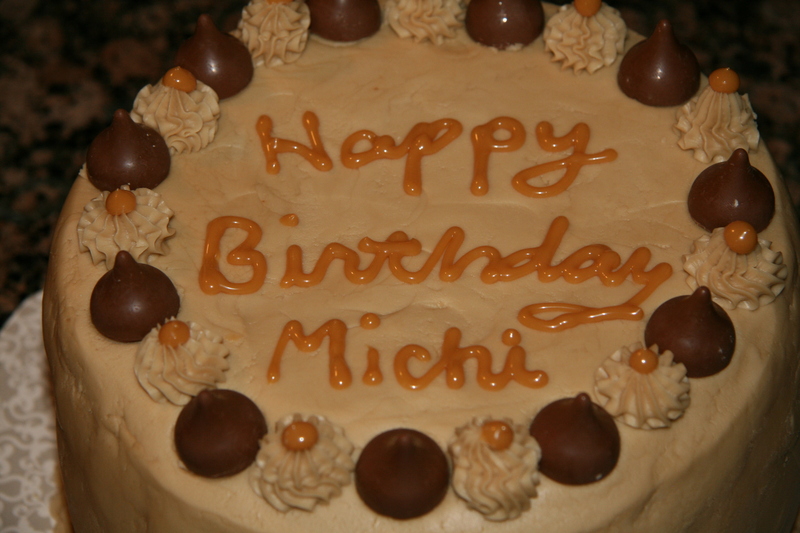 The caramel frosting was also good, but very thick and almost fudgy in texture. I could see pairing the cake and filling with something lighter, especially if it is being served after a heavy meal. For the writing, I used extra dulce de leche in a bag with a small round tip (I think #3). It was actually pretty easy to write with it. 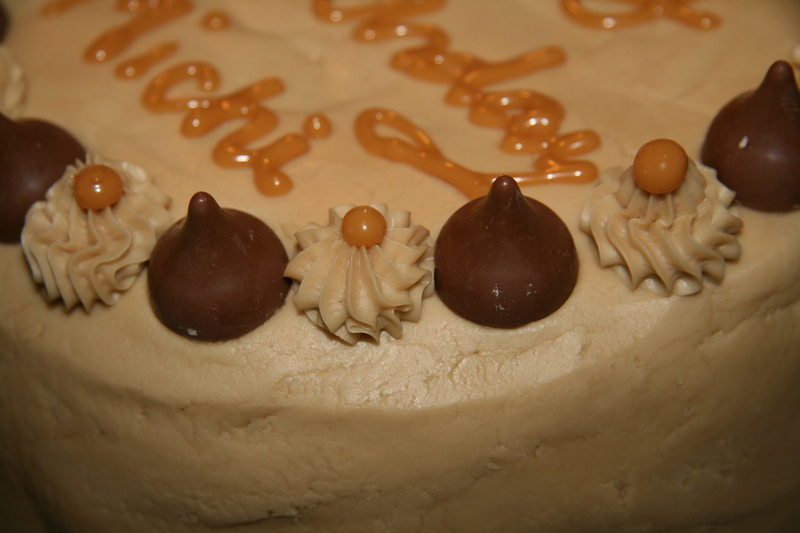 Around the cake I alternated frosting with a #21 tip (dotted with dulce de leche) and caramel-filled Hershey kisses. 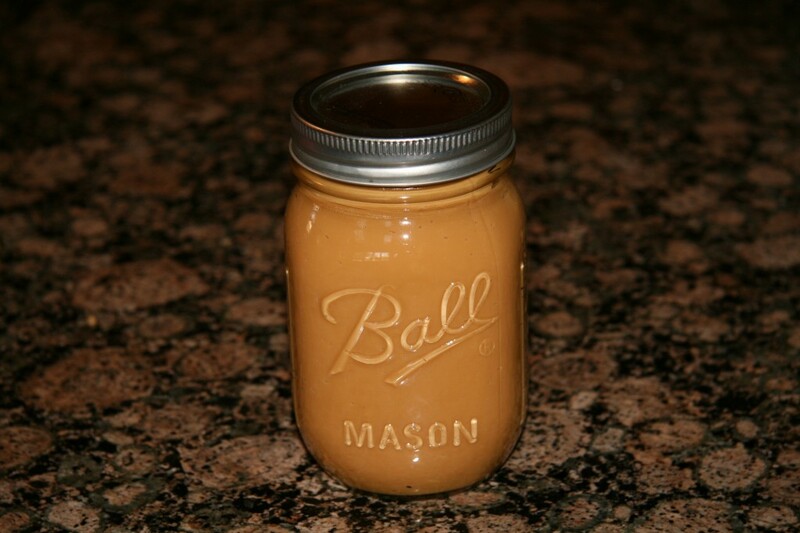 The dulce de leche is so easy to make. For a 3-layer cake, I used 2 cans of sweetened condensed milk. Just pour both cans into an 8-inch square baking dish and cover with foil. Then place the baking dish in a Pyrex 9 x 13 pan. Pour hot water into the Pyrex pan until it comes to halfway up the square baking dish. 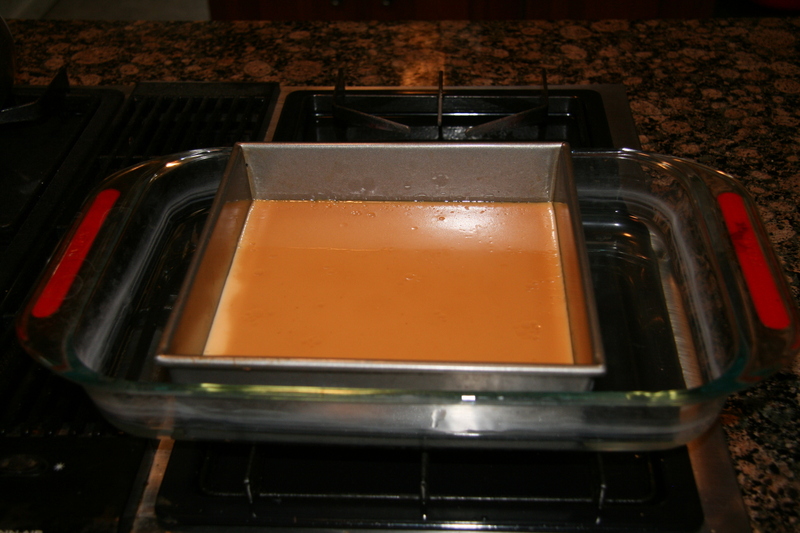 Then place in the oven at 400 degrees F for an hour and a half, until the sweetened condensed milk is nice and caramelized. Remove the dulce de leche from the oven and let cool. Once cooled, whisk until smooth. Then place in a covered jar in the fridge until you are ready to use it. Pour the milk, egg whites, and vanilla into a bowl and mix together with a fork. Mix the cake flour, sugar, baking powder, and salt in a Kitchenaid mixer until blended. Add the butter and mix on slow speed until moist crumbs are formed. Add half the milk mixture and mix on medium speed for 1½ minutes. Add the rest of the milk mixture and mix for 30 seconds more. Pour the batter evenly in the 2 pans and bake for 20-25 minutes until a knife inserted in the center comes out clean. Melt the butter in a saucepan. Then add the sugar and cream and cook on medium heat until the sugar is dissolved. Pour this into the bowl of a Kitchenaid mixer (or other heatproof bowl) and slowly add the confectioner's sugar until the frosting is a spreadable consistency. This frosting can dry out easily, so remix and add a little cream if necessary. To assemble the cake, take one cake, and spread the top of it with the dulce de leche. 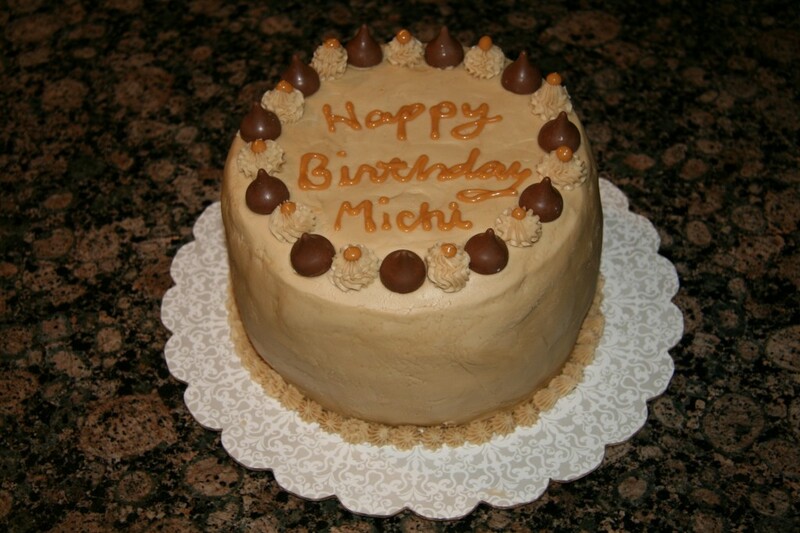 The best way to do this is to fill a decorating bag with some dulce de leche and use a large round tip to make a border around the top edge of the cake. This will serve as a wall to hold in the rest of the dulce de leche (which you can put on the cake using a spoon and smooth with a knife). Then add another cake. If you are making a 2-layer cake, you are done. If you are making a 3-layer cake, add more dulce de leche to the top of the second cake and then top with the final cake. Frost with the caramel frosting and decorate as you wish.